How do you deal with the end of a marriage when you are the partner who is left in the lurch? This is what happens to Ursula but, beyond the heartbreak, she must deal with the break up of the relationship being played out endlessly in the tabloids. 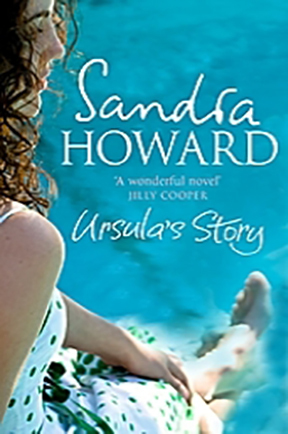 Ursula’s story opens on the day of her ex-husband William’s wedding. The press are on the phone to her at six in the morning, asking her to share her innermost feelings. ‘No comment’, is all she can manage. Her three children, particularly the two youngest, cannot restrain their excitement. After all, it isn’t every day that their father marries a government minister and the Prime Minister and half the Cabinet are invited. But Ursula, herself embarked on a shaky new affair with a local man, sees how hard their daughter Jessie has taken the shake-up. Her father’s secret favourite, she has put up walls, closed doors. But are these defences strong enough to protect a ten-year-old child? ‘Howard crafts a pleasingly tight plot right up to the end… an assured follow-up to a promising start’.